NGR is an Austrian plastic recycling brand with more than 20 years of experience in turning plastic waste into high quality pellets. NGR is a well-known brand with a ONE-STEP technology, which helps to reduce manpower costs to the minimum, and are reprocessing thermoplastic waste to high value raw material. 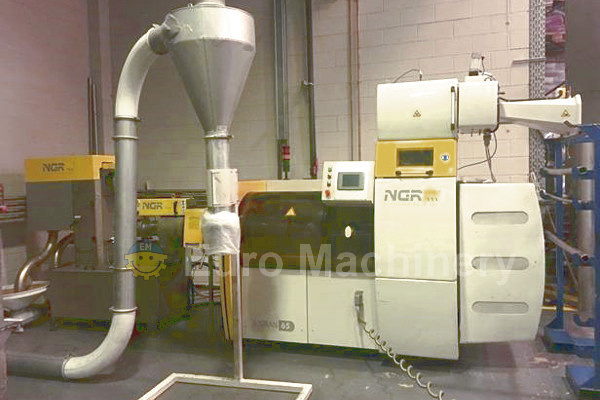 Euro Machinery are machine dealer of used plastic recycling machinery worldwide, you can see the models of NGR like S:GRAN, A:GRAN, and more. On our website we constantly upload new machines, and we send weekly campaigns to keep you updated about new machines. As a trading leader in Northern Europe, we have a vast experience in selling and buying machines, therefore you will be professionally guided through all the steps during the process. Please contact us if you have NGR machines for sale or if you want to buy recycling machines. Euro Machinery is specialist in trading with second hand machines and equipment for flexible converting.